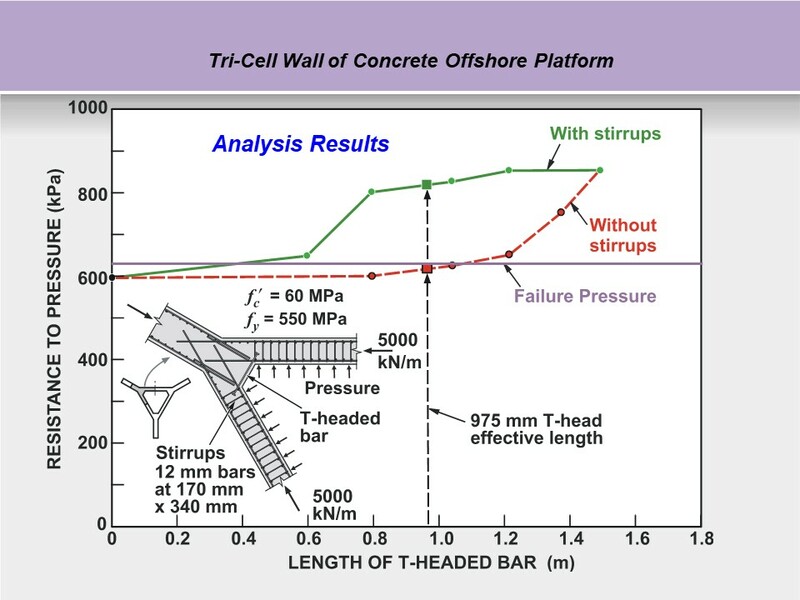 Since 1979, we have been pushing the bounds of advanced modelling and analysis of reinforced concrete structures. 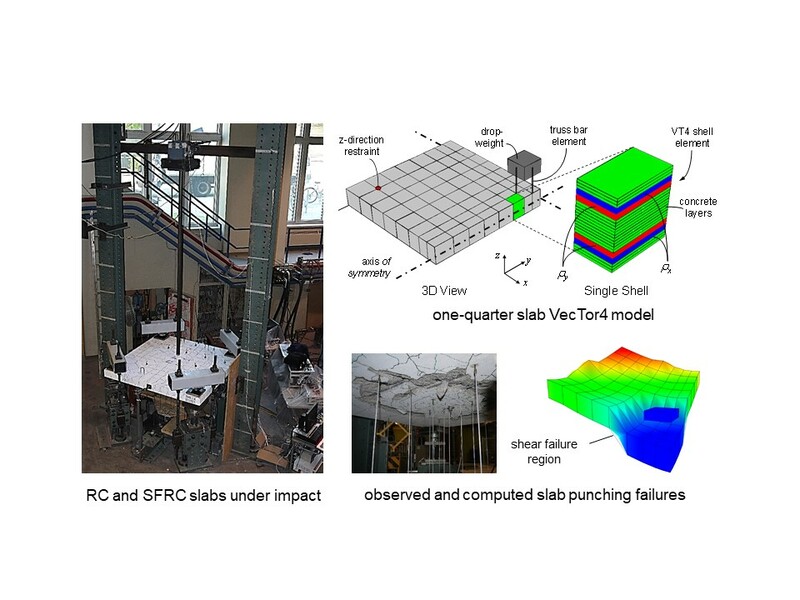 The VecTor Analysis Group now comprises eight professionals with a wide spectrum of expertise and experience in the modelling and performance assessment of concrete structures. 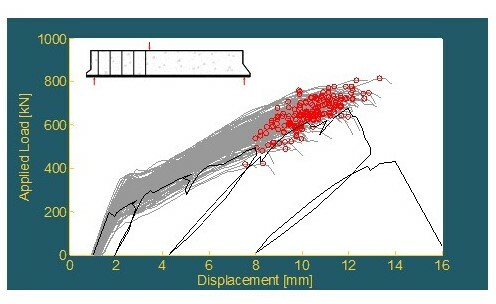 Our software and services will enable you to better address your analysis needs in industrial, research and teaching applications. 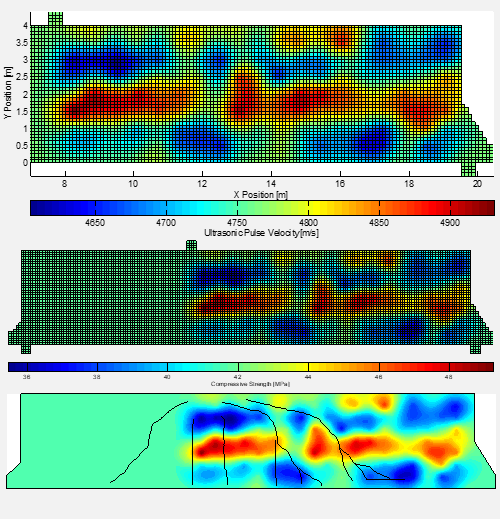 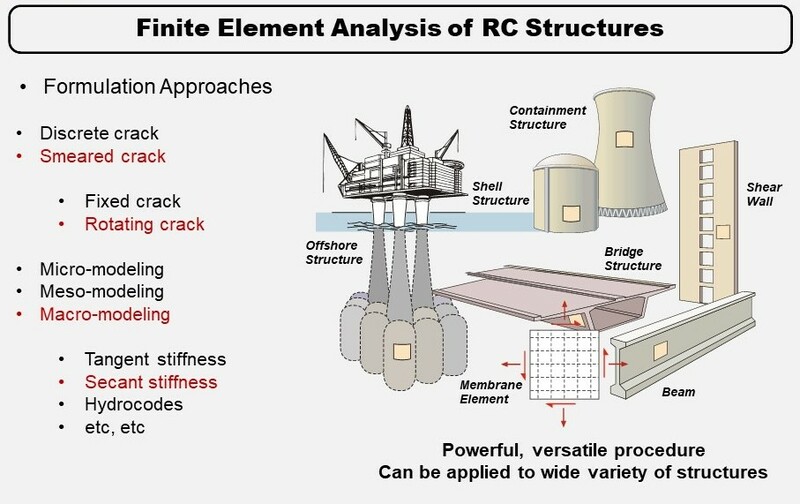 In developing and applying our proprietary analysis tools, we have employed a comprehensive six-phase approach involving: theory development, large-scale structural testing, formulation of material models, implementation into analysis algorithms, corroboration, and application to real structures. 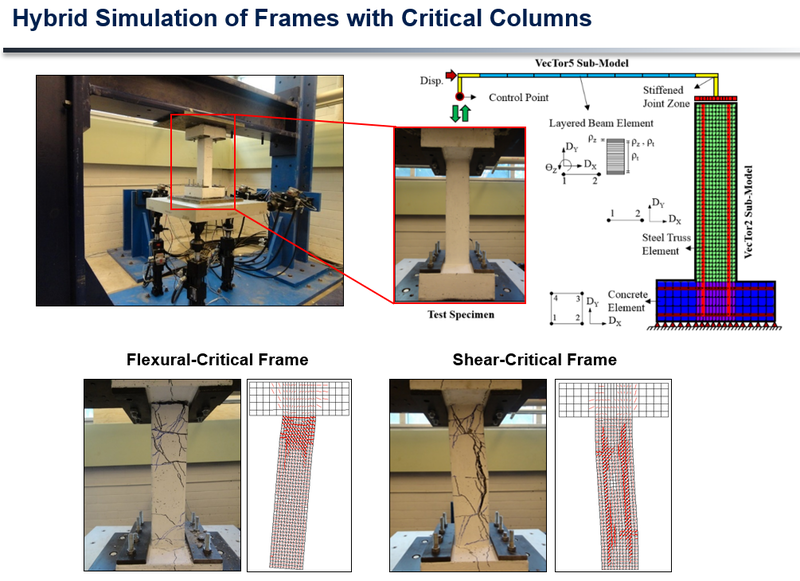 This approach has led to industry-leading analysis software and expertise. 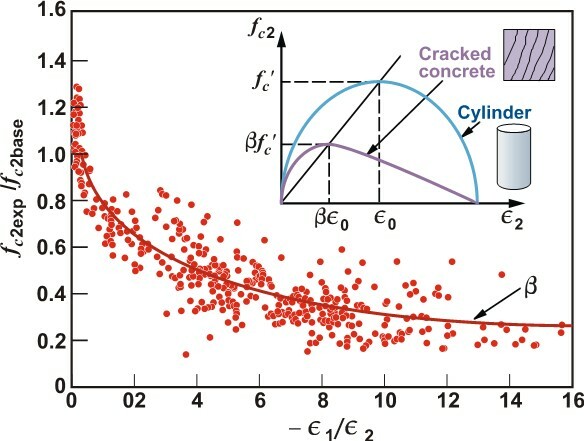 Formulation of rational theoretical models for describing the behaviour of reinforced concrete; for example, we were co-developers of the Modified Compression Field Theory, and developers of the Disturbed Stress Field Model. 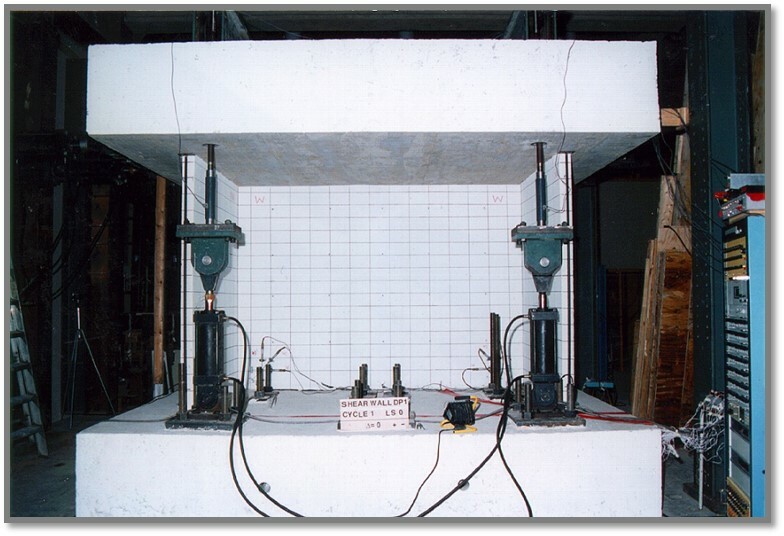 Development of a reliable data base through experimental investigation, emphasizing well-defined conditions on simple test elements; thousands of mid- and large-scale specimens have been tested over the years. 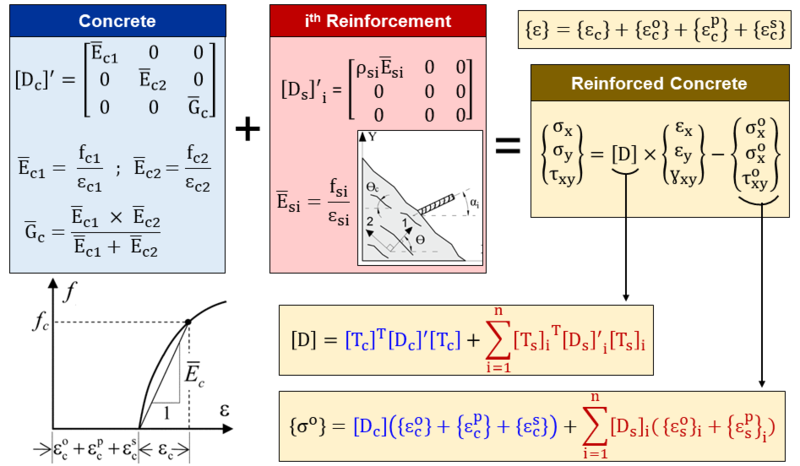 Formulation, from the test data, of simple but realistic constitutive models that accurately reflect response under states and conditions of practical concern. 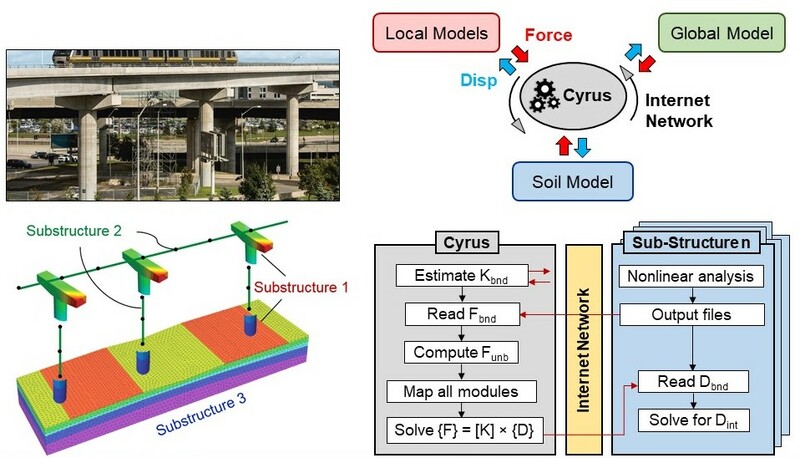 Implementation of these models into numerically robust nonlinear analysis algorithms specifically formulated for reinforced concrete, namely the VecTor suite of programs. 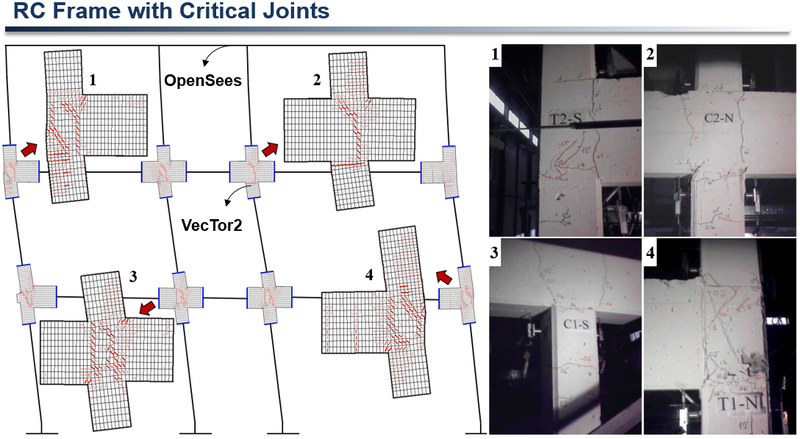 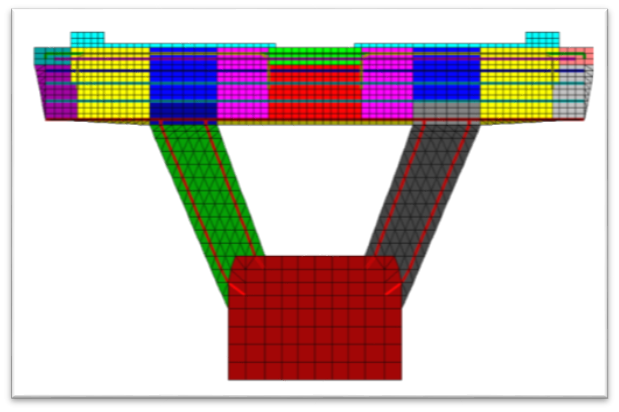 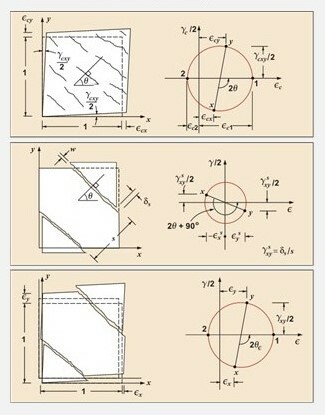 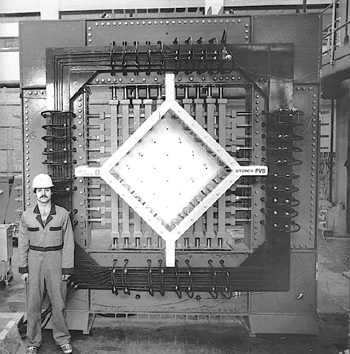 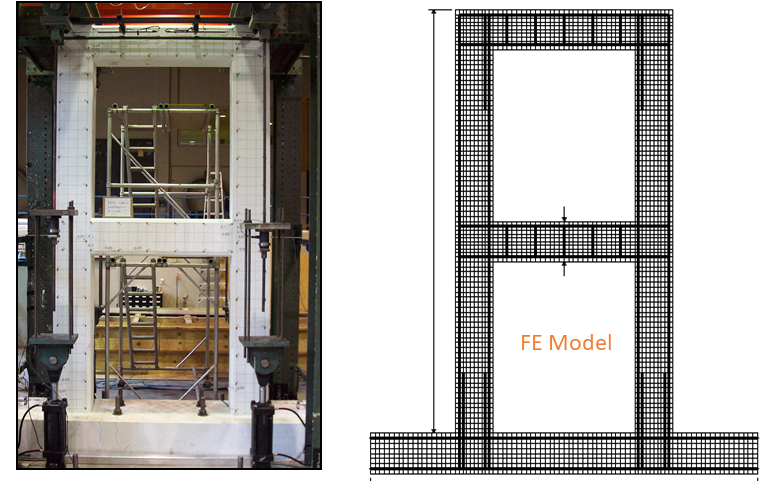 Corroboration of the analysis models and procedures against tests involving complex structures; examples include multi-storey frames, flanged shear walls, deep beams, and cylindrical shells. 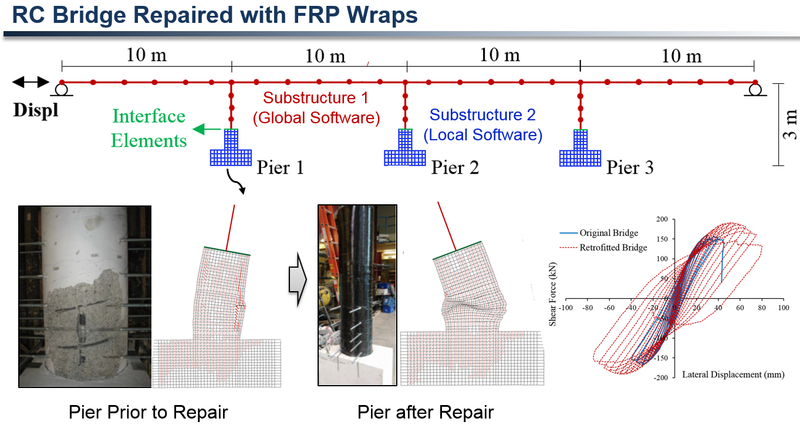 Application of the analysis procedures to real situations, through case studies or in consulting applications, sometimes identifying facets in need of further refinement and necessitating a return to Step 1. 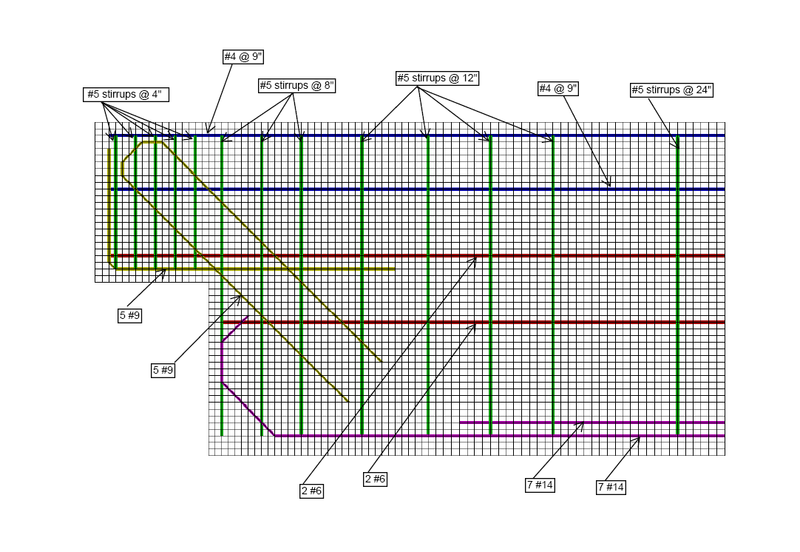 Working either independently or co-operatively with the client, we can provide consultations on the design adequacy, safety, or expected performance of in-situ or planned structures. 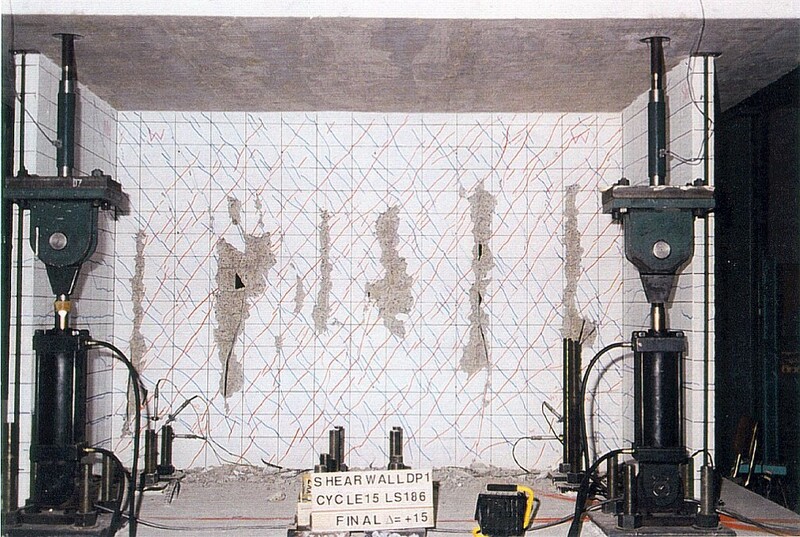 Forensic studies of failed, damaged or deteriorated structures are also performed. 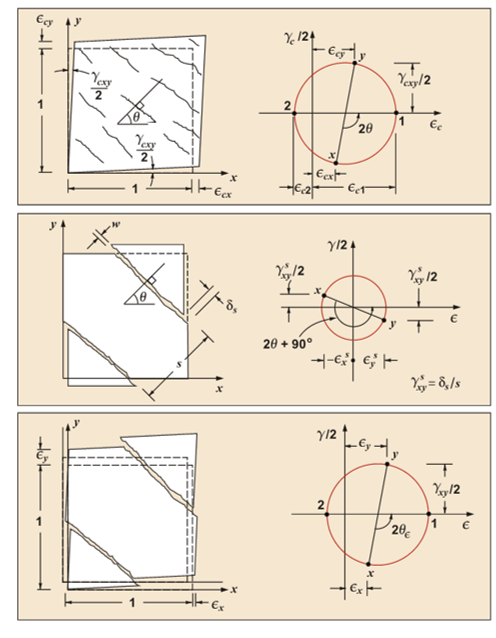 The VecTor suite of nonlinear finite element analysis programs, developed specifically for modelling reinforced concrete structures, are intuitive and easy to use. 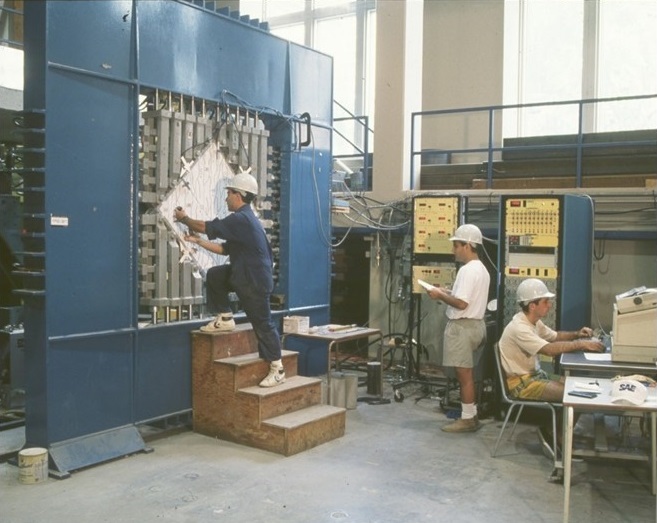 They are notably distinct from other available software in their simplicity in user characterization of the materials and in minimal need for calibration. 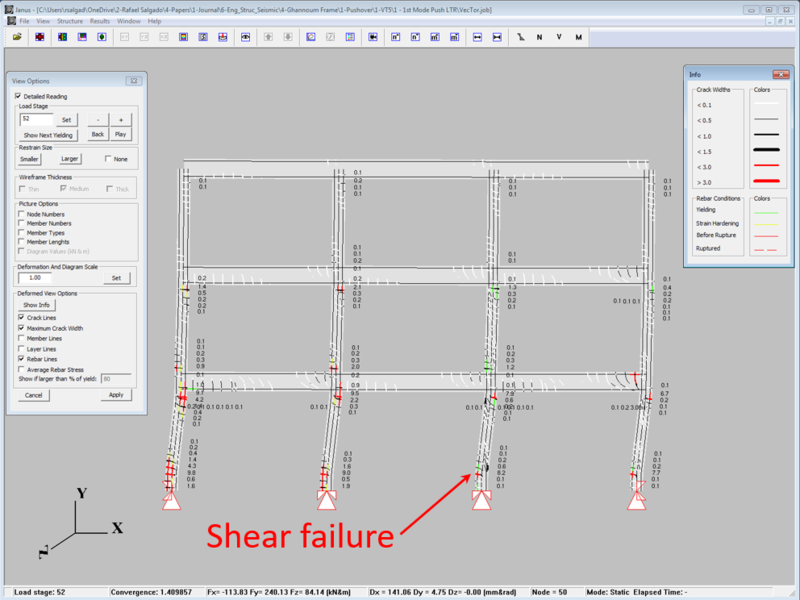 Dedicated graphics-based pre- and post-processors have also been developed to simplify the modelling process and the interpretation of results. 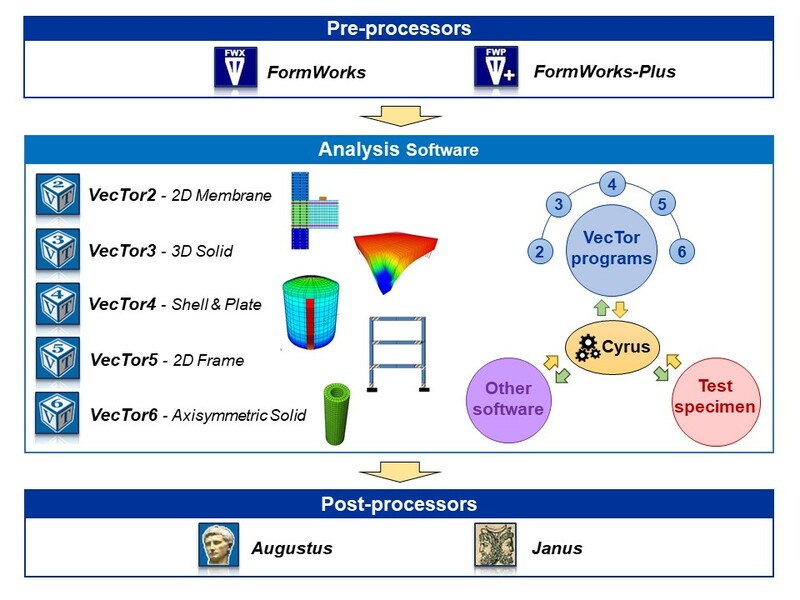 Users of the VecTor programs can subscribe to our Software Support service for advice on how to use the programs, model structures, and interpret results. 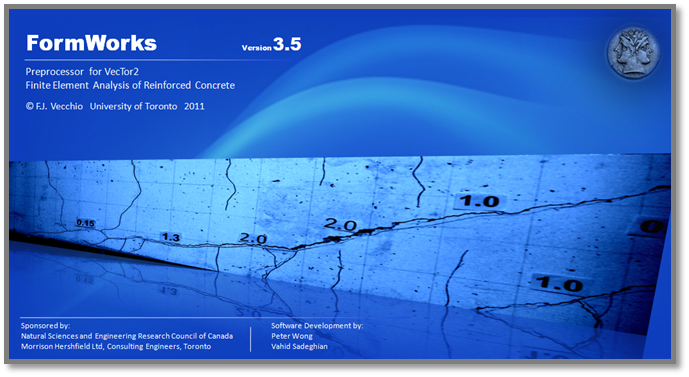 We also have experience with a wide range of other common commercially available software on which we can advise.